Here's a new layout I made for Chic Tags using pieces from the School House collection. 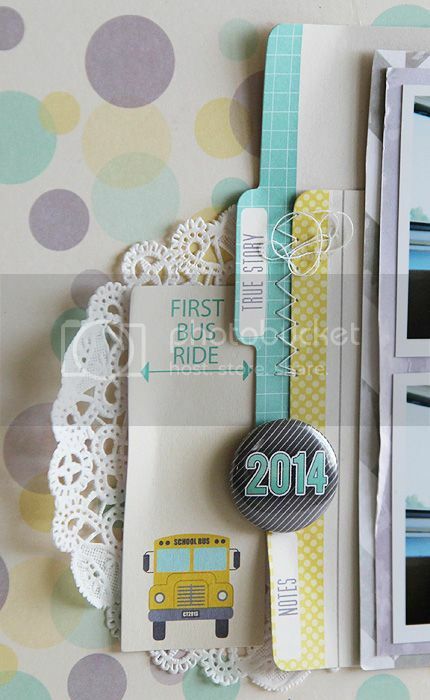 I added the file cards, some tags here and there, including that oh-so-perfect first bus ride mini tag, a doily from a yummy cup of hot chocolate I had last week and the 2014 flair button. Love the layering and stitching, Marry Ann. Such an amazing layout. So cute! Love all the layering. Great layers, a perfect memory to capture. This is so cute, Mary Ann! Great use of the Schoolhouse collection!! Love your page! 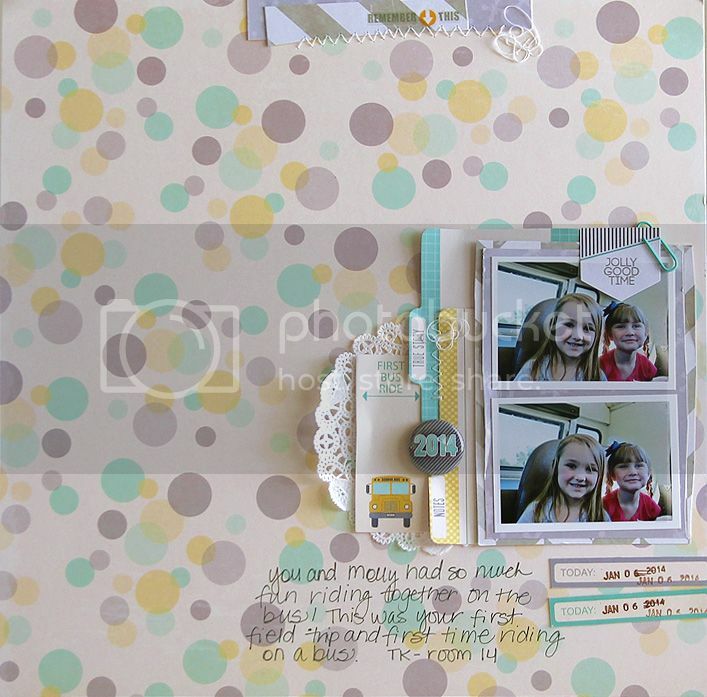 great layering and super cute photos!